Candle wax can be used to protect the highlights or white passages in your watercolor painting. I have used it to create the impression of waterfalls, white foam on the sea, and to save highlights on rocks. This simple watercolor painting using candle wax was done with only a few colors and some quick watercolor washes. It is one of the early exercises I have all my beginner watercolor students do. The trick with using candle wax is to understand the surface of your paper and what effect you are trying to produce. If you press lightly, less wax will be deposited on the paper surface. If the paper is textured, rather than smooth, you will get a broken edge of white unless you press very hard. 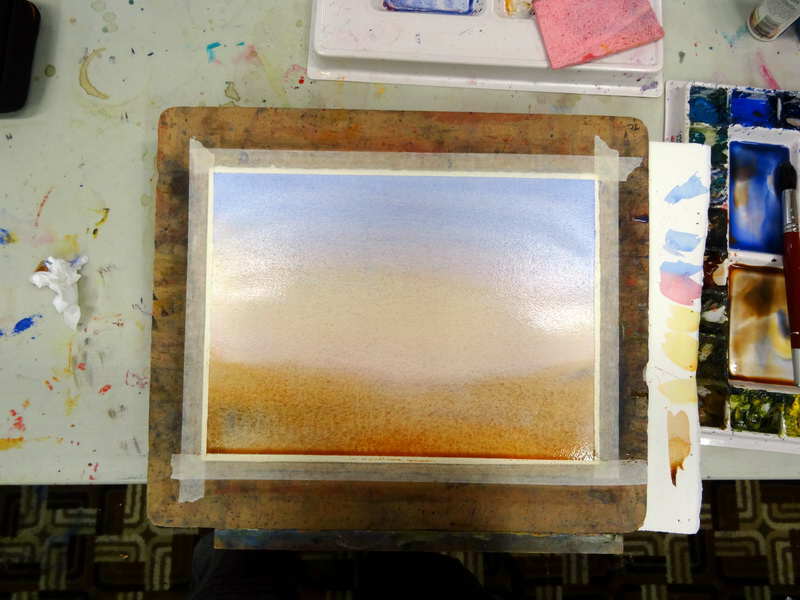 The easiest way to learn the properties of wax on watercolor paper is to try it. Any experimenting you do on various papers and candle sizes will be beneficial. The wax creates a barrier on the paper surface so that it stops the paint from sticking to its surface. The one big negative about using wax on your watercolor paper is that it is permanent. You can’t remove it and you can’t paint over it. So you have to really need or want to use it and you have to know exactly where you want to place the wax. Arches 300gsm Cold Pressed (also known as Medium) watercolor paper, eighth sheet (approx. 7.5″ x 6″ (19cm x 14cm). Brushes: Round — Sizes 24 and 12 for larger washes and 8 for the smaller areas and detail. Paints: All Winsor and Newton — Cobalt Blue, French Ultramarine, Raw Umber, Burnt Sienna, Permanent Alizarin Crimson, Cad Orange. Pencil, tissues, and large water container that holds about 3 pints. I did a very light drawing of where the rocks would go. Before laying down my first wash I mixed my sky colors in my palette. The colors used were Cobalt Blue with a touch of Permanent Alizarin Crimson, Permanent Alizarin Crimson on its own, and some Cad Orange on its own. By premixing my starting colors I can paint the big washes very quickly. Each wash of watercolor paint must be wet enough that it easily flows down the paper and forms a bead of paint at its bottom. You have to paint it very quickly or you will get streaks in the sky. After you lay the first wash down, quickly load up your brush with the Permanent Alizarin Crimson and run this along the bottom of the blue wash. I run my brush about a quarter to a half brush thickness from the bottom of the first wash. You have to paint each wash fast enough that you can see the watercolors flow down your paper. If you are not seeing this then you are not loading up your brush with enough paint or you are moving the brush too slowly. Repeat the above with the Cad Orange mix down to the distant horizon. I then added some French Ultramarine to the blue mix in my palette and used this to paint the water down to the sand which was a just Raw Umber. The sea area was a bit weak so I added more pigment while the painting was still wet to strengthen the sea color. I then dropped in a much stronger mix of the sea color under the wet waves. I let the under painting dry thoroughly at this stage! Once the under painting was totally dry, I painted the rocks with a mix of French Ultramarine and Burnt Sienna. While the rocks were still wet I used a clean damp brush and softened the edges that touched the sand — ­quite often you will see damp sand, even little pools, around the edges of rocks near the sea. The painting was completed with the addition of a few squiggles on the sand to represent sea weed or other flotsam and jetsam that ends up along the shore. In this case the squiggles are used to break up the sand area into more interesting shapes. This type of painting can be done very quickly and is a good exercise for teaching beginner watercolor artists how to handle quite wet washes. The birds would probably have been better left without the wax and then just placed in later with a dark color or white gouache. Finished simple watercolor painting using candle wax. This easy watercolor painting is primarily an exercise I created for my students on how to use salt to create believable textures. Rather than just experimenting with salt and watercolor I felt it was just as easy to end up with a nice little painting. 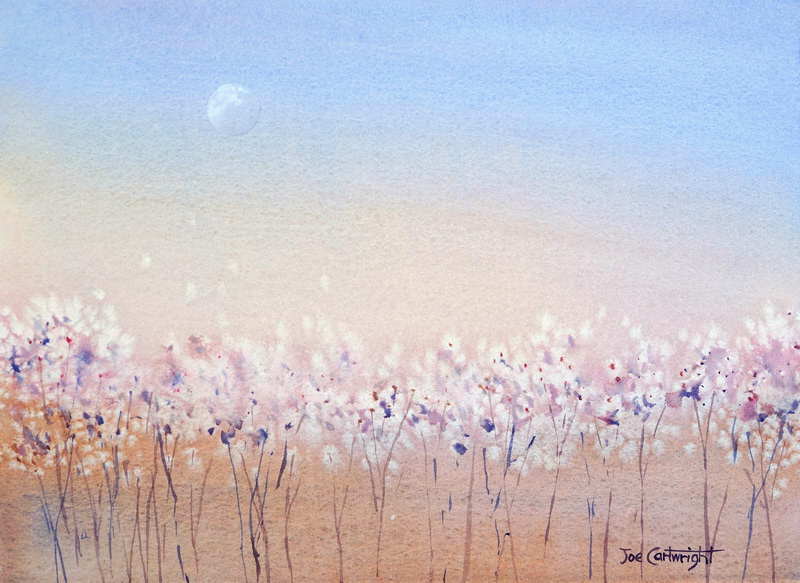 This painting is part of my series of simple watercolor paintings for relatively new watercolor artists. The first step was to do a variegated watercolor wash.
Winsor and Newton artist’s quality watercolor paints: cobalt blue, cadmium orange, permanent alizarin crimson, French ultramarine, and burnt sienna. Quarter sheet ( approx. 37cm x 27cm or 14.5” x 10.5”)of Arches 300 gsm (140 lb) cold pressed paper. The paper is taped onto a piece of Gator Board or another waterproof board. Common table salt. You can try some rock salt for a different effect. Round watercolor brushes. Sizes 24, 16, and 8. Figure 12: Finished simple watercolor painting with salt demonstration. The trick to creating a nice clean watercolor wash is to use a fully loaded brush with lots of water and pigment. A fully loaded brush is one which will drip if head vertically with the point down. For this painting, because I wanted a noticeable transition between the colors, I only had my board at about a 10° angle. I started at the top with my cobalt blue and a touch of permanent alizarin crimson mixture. Into the bottom of this cobalt blue and alizarin stage I then went in with my cadmium orange mix. This was followed with the alizarin crimson and then burnt sienna. I cleaned my brush between the cobalt blue and cadmium orange stages, but not between the two other transitions. You can see the result of this initial under painting in the photograph below. You can see how wet the watercolor wash was from the shine on the surface of the paper and the amount of pigment beading at the bottom. Figure 1: Start with a graded watercolor wash. I find that the best time to sprinkle salt is just as the shine is beginning to leave the surface watercolor paper. It should still be quite wet however. This is something that you learn with a little testing. If you have not used this technique before I suggest you try it on some scrap watercolor paper first. Try sprinkling salt when the test paper is very wet, then when it is just losing its shine, and finally when it is barely damp. If you sprinkle the salt when the paper still has a lot of shine on it and you move your painting the moving water and paint on the surface will remove much of the effect of the salt crystals. However if you wait too long very little salt effect will occur. 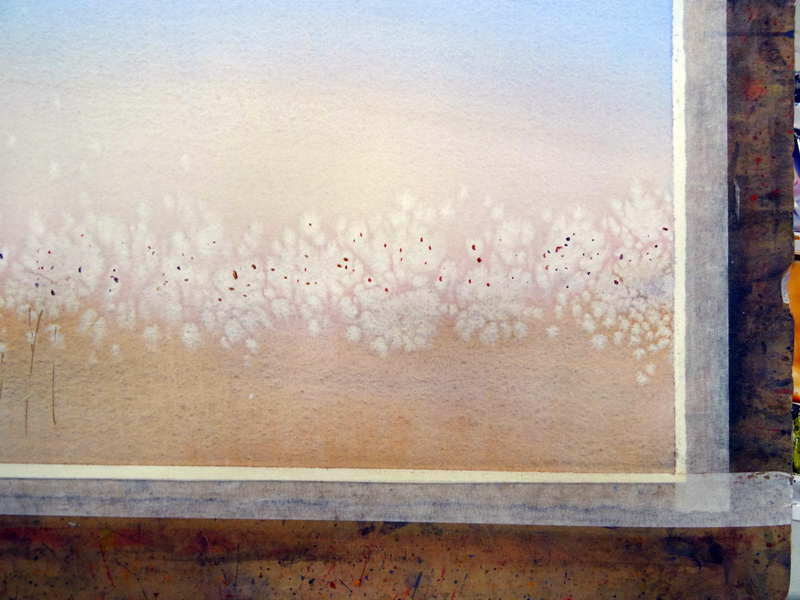 Figure 2: Sprinkle salt over wet watercolor painting. I sprinkled the salt around the alizarin Crimson and burnt sienna, transition area. Do not sprinkle from too great a height or some of the salt crystals will bounce and end up all over the place. I sprinkled from about 2 inches above the painting surface. You can see from the image below that I varied the amount of salt I sprinkled to create a more interesting patent than just sprinkling a uniform straight line of evenly distributed salt. Figure 3: Sprinkle salt in an interesting pattern. You can see from the close-up image below how the salt crystals absorbed watercolor pigment and moisture from the painting surface. 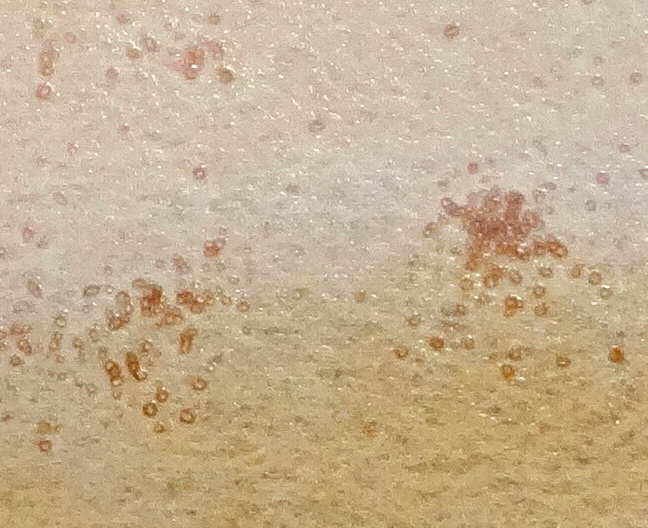 Figure 4: Detail of salt absorbing watercolor pigment. 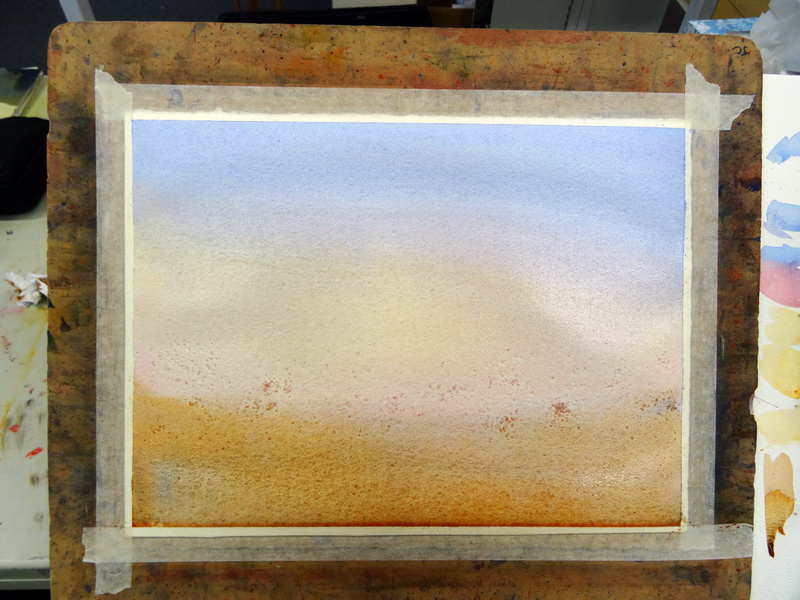 You need to leave the salt crystals on your watercolor paper for quite a while to let them absorb significant quantities of pigment and water. This is what I refer to as the salt effect. You can see, in the image below, the initial stage of salt crystals working. I leave my paper untouched until it achieves the effect I am after. Figure 5: Initial stage of salt absorbing water and watercolor pigment. Once the salt has created the effect I was aiming for I dry the painting using a hairdryer. Make sure you do not use the hairdryer so close to your painting that it roughs up the wet surface. Otherwise you can lose some of watercolor painting’s beautiful translucency. You can see from the image below the stage at which I dried my painting. 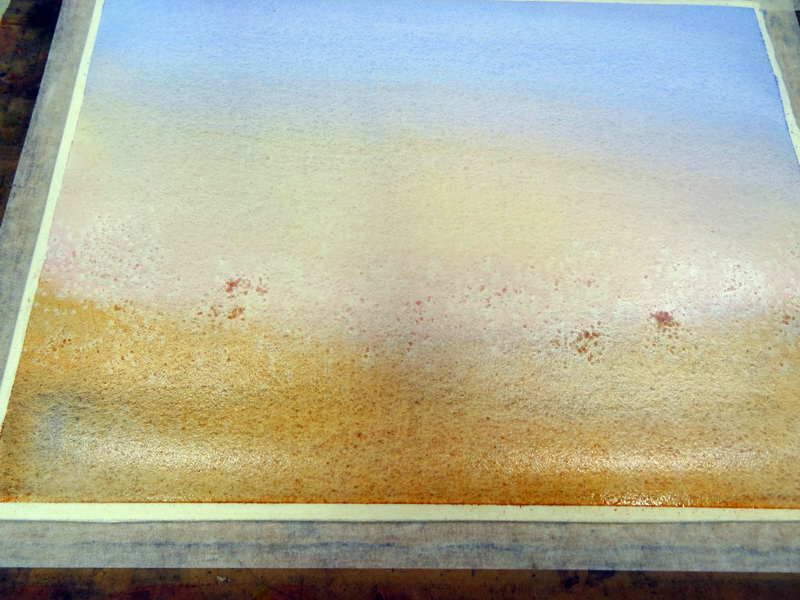 Figure 6: Once the required salt effect is produced dry your watercolor paper thoroughly. After the painting had totally dried I rubbed off the remaining salt crystals with a tissue. 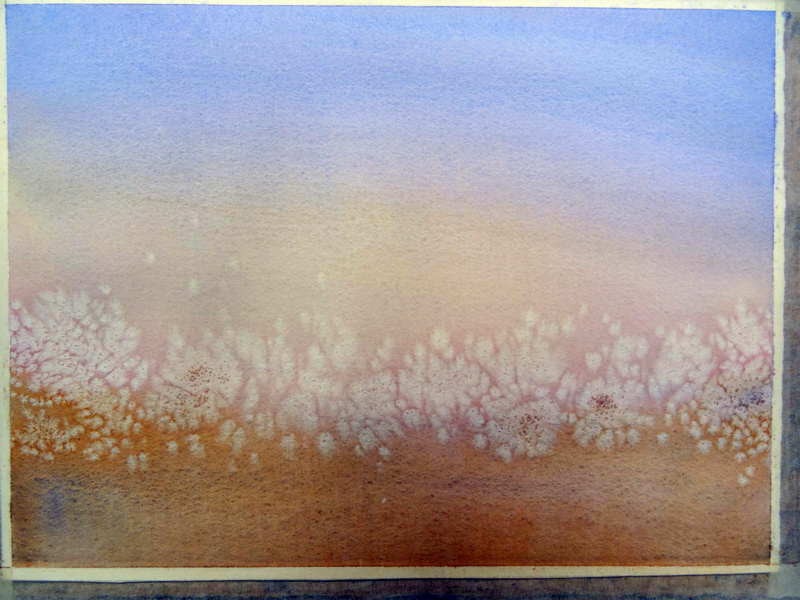 Figure 7: Watercolor painting after dry salt brushed off. You can see more detail of the final result from using salt on the watercolor surface in the close-up image of a section of my painting below. 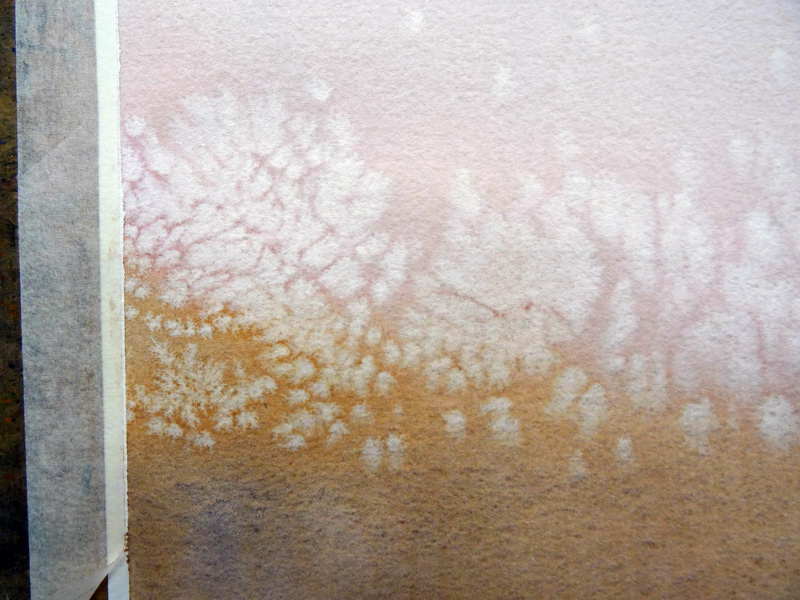 Figure 8: Details of salt effect on watercolor paper. These salt shapes suggested to me flowers blowing in the wind or seed heads of flowers such as dandelions. So in the next step I placed various colored watercolor dots in a number of the flowers’ centers. Figure 9: Paint flower centers with small dots of different water colors. While these dots representing the centers of flowers were still wet I dribbled water from my spray bottle over the area of flowers. This made some of the colors run. I also used my size 8 round watercolor brush to add some additional colors to the various flower heads. 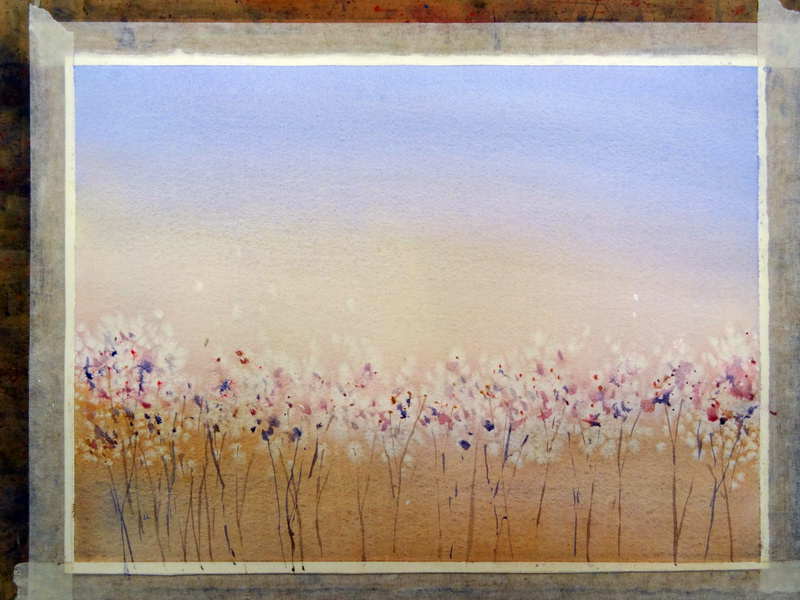 Using some of the burnt sienna mix that was still in my palette I added some French ultramarine and use this to create the stems of flowers. Notice how I varied the spacing between these flower stems and their shapes and colors to add interest. You can see this watercolor painting step below. Figure 10: Use water spatter and brush work to finish flower impressions and stems. This easy watercolor painting was nearly finished. All that was required now was to place an image representing the moon the top left-hand quadrant of my painting. This was achieved by first lightly drawing a circle using a coin as a template ( I used an Australian 10 cent coin). 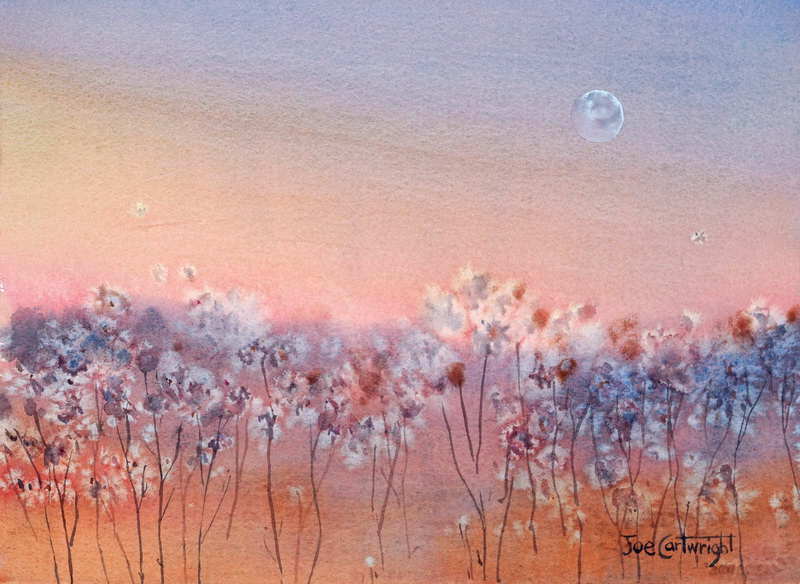 I then used white gouache to create the impression of the moon within the circle. The gouache was painted on about one third of the area along one side of the circle. I then used a wet brush to soften this edge which spread a very small amount of gouache to the non-sun lit part of the moon. Once the moon shape was totally dry I erased any remaining pencil marks. 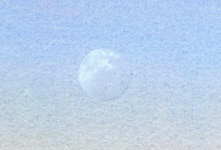 Figure 11: Insert moon in top left quadrant of painting with gouache. I finished this simple watercolor painting by signing it on the right hand side to balance the work. Here is another version of this same painting. 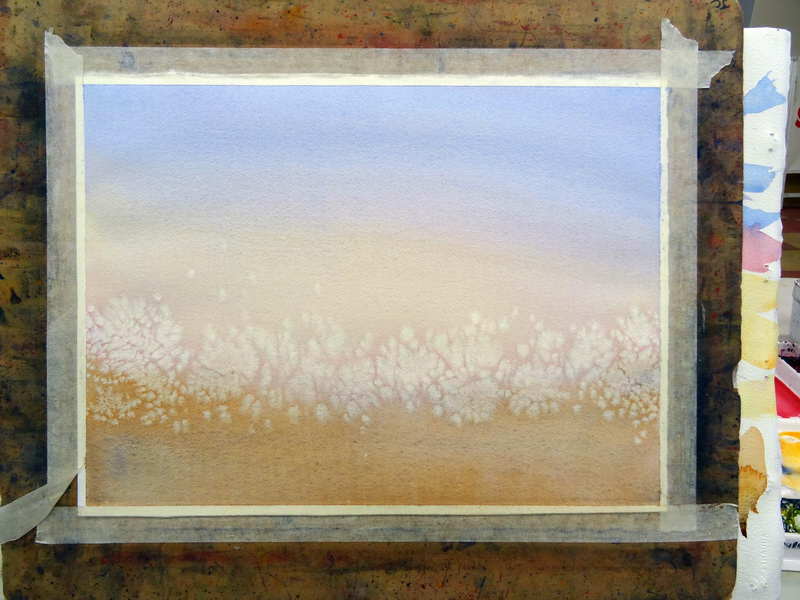 Figure 13: Another version of this easy watercolor painting using salt. 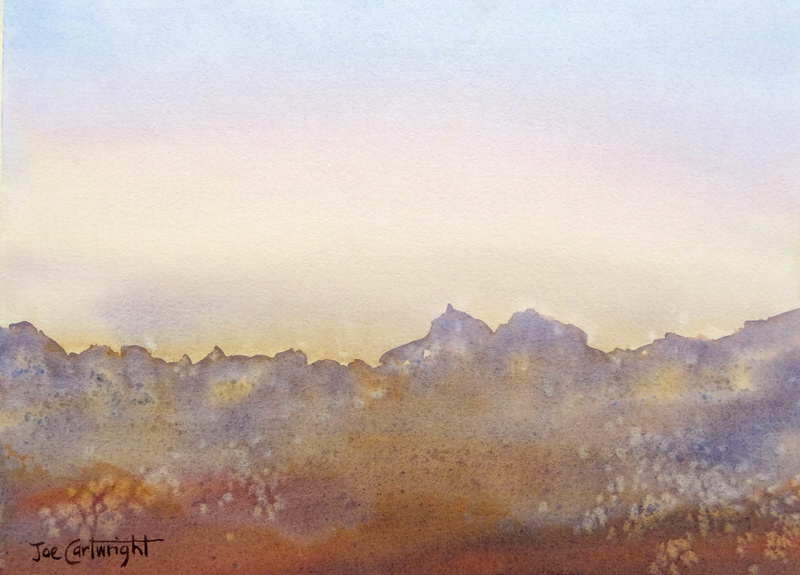 Figure 14: Easy watercolor painting of a mountain range using salt. This technique can be used for both easy watercolor paintings and more complex ones. A common question asked by students is does the salt damage the painting. I honestly do not know however I know of artists that have used salt in paintings 20 years ago with no noticeable damage to their work. Also as salt is often used as a preservative I suspect it will not cause any lasting damage to the work. However I leave it to you to make your own decisions on the matter, I am a watercolor artist not a chemist!